Morning started pretty slow, afternoon was looking to be the same until three mature does walked out in front of us. We kept waiting for the buck but he never showed. My 7 year old is on his first deer hunt and was a trooper!! Going to road hunt a bit in the AM to let him recuperate a bit and do an afternoon sit. We were able to observe three different groups of does with no bucks...come on rut! That’s a epic picture of nap time! 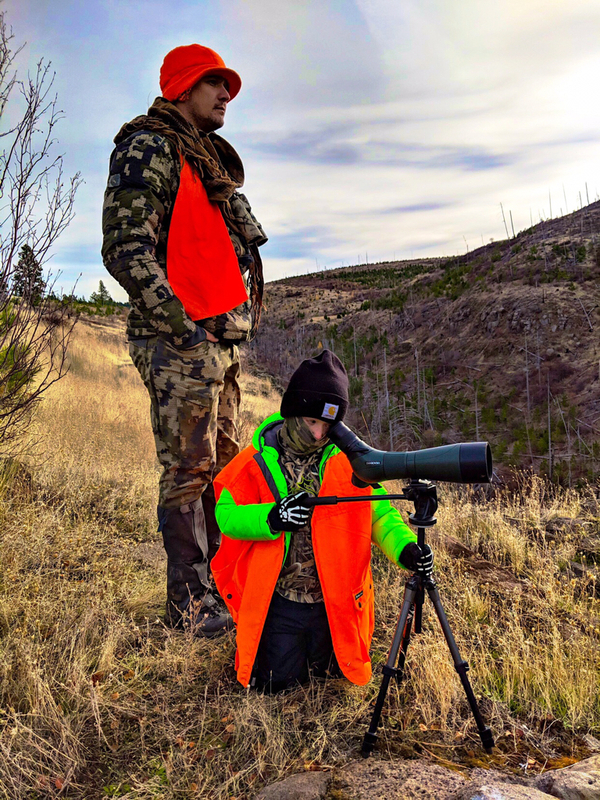 Hope you can nail a nice buck while he’s with you! He’ll never forget it! Go get em, boys. And girl. Found two 4x4’s bed down about 100 yards apart today. First buck was 268 yards, he stood and ran when he got up. No shot. Second buck was 290 yards away and didn’t budge when the other buck left. We moved in to 200 yards. He was bedded broadside. Jessica shot and missed over the top of him. Did some more practice and she is super confident again. I think the last three years of getting a deer with her bow has her more than a little rifle rusty. It’s not just like a bicycle you have to practice a bit more than she did before season. I think if we get another chance she will get it done. If not we’ve had a blast. Hopefully tomorrow is the day we put it all together. Sounds like fun times! Better luck tomorrow Jessica, you've got this. We had a spike sneak in that my son spotted first, I thought he was going to come out of his boots he was so excited. Then a doe popped out with about three minutes left of light. My son leaves tomorrow and my hunt plan changes a bit as I’ll be able to hunt all day putting on some big miles. Are you guys seeing coyotes? We are seeing four coyotes a day. We can’t get a shot quick enough or the coyotes are between us and deer. Saw a great red coat on one. Would have loved to get that. I love your kid pics.